What’s better than an attic full of the things someone once treasured, then grew up or turned in another direction, and now here’s the thing, dusty and worn yet special in some way just waiting to be discovered. Ebay thrives on this market of lost things but it isn’t the same, is it. There isn’t that physical thrill you get when you’ve sorted through the junk to find the very thing, shined it up with the palm of your hand, and imagined it into your life. Maybe that’s why the brocante still thrives in France, this most sensory of cultures being reluctant to part with the thrill that comes with the hunt. Here are our latest finds, from consignment brocante type shop La Grange de Janna, just relocated from Honfleur to Pont-Audemer and helpfully open every day. Furniture, books, electronics, audio, vintage and modern – it’s all here in a cavernous warehouse. At Les Iris the walls are fairly bare and we’re always looking for pictures that connect to our lives here in Normandy, while small enough to suit the cottage’s dimensions. 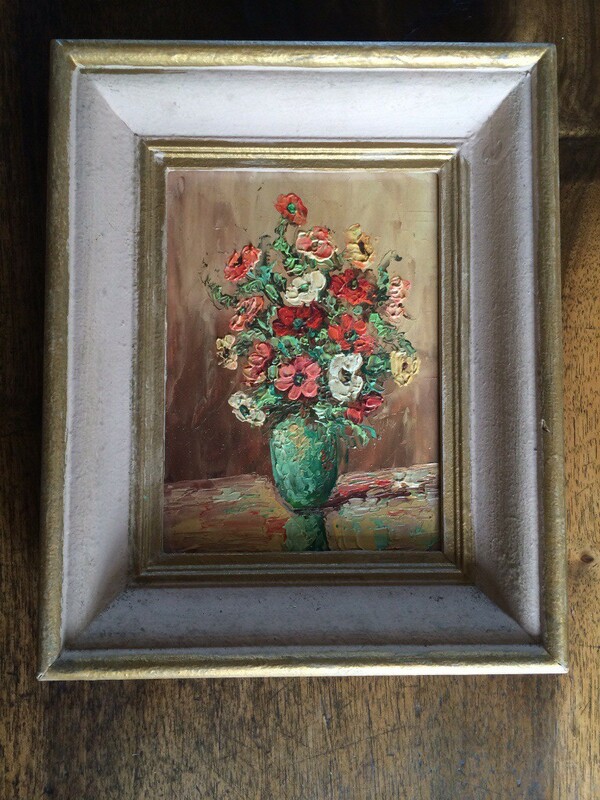 The miniature oil of a vase of flowers will be perfect. 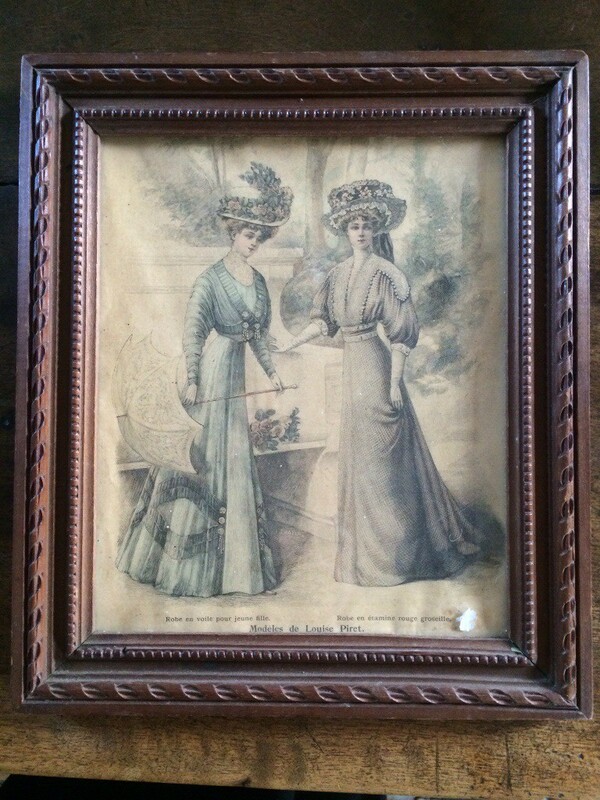 The fashion plate will remind our daughters not to complain about the clothes they have to wear. 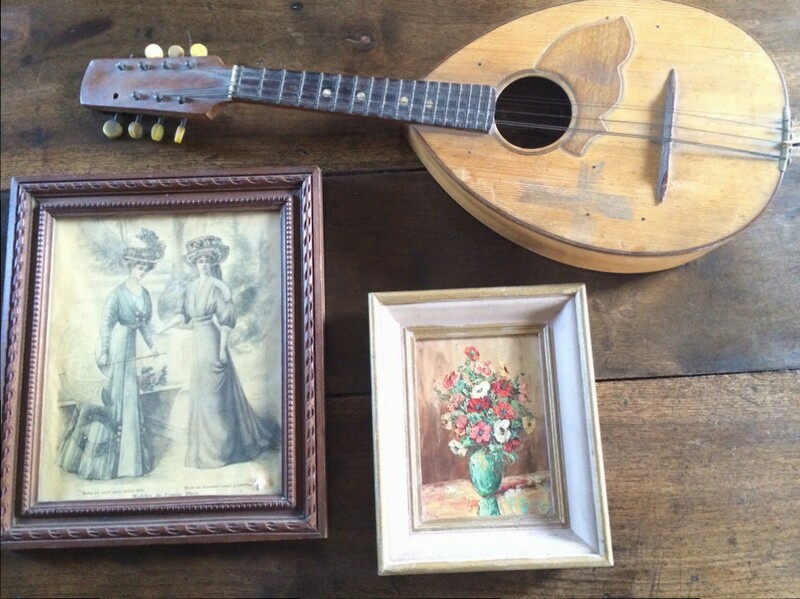 And the mandolin – an impulse purchase, redolent of Picasso, southern summers, Shakespearean serenades. 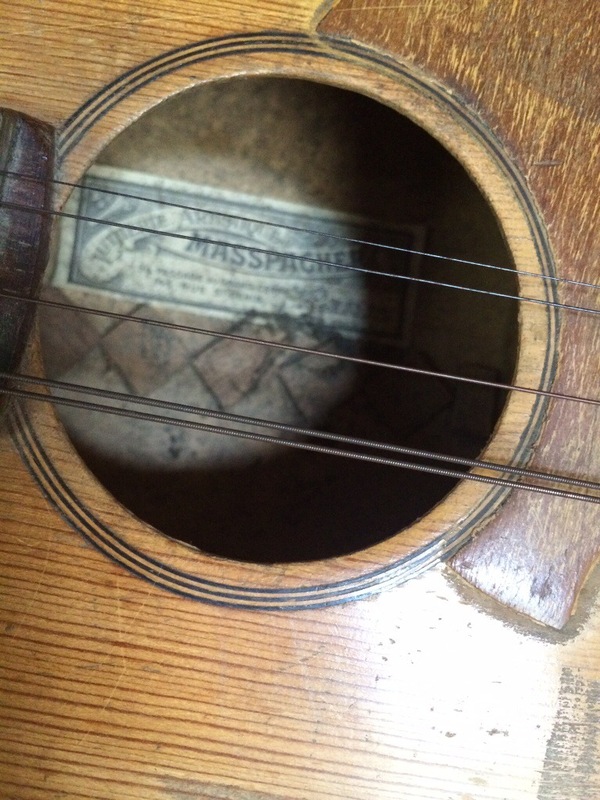 It needs re-stringing and a polish, but is in good shape, and made by Masspacher in Paris. A fine old thing will get new life.